Are you recently retired and are looking to try out new things? Do you feel the need to move on to another chapter? Or are just bored? These are among the many reasons that could drive a person to make a career change. Changing careers is a big deal and a decision that we wouldn't want to make without being thoroughly informed. The good news is, there are numerous resources that you can use to gather the necessary information you need. Books are one such great resource. A number of authors have done an excellent job of giving tips that can help you transition with ease. Whatever the reasons behind you wanting to make the move, these books have something for everyone. The dynamics of the job market are constantly changing so you need to be well informed before making such a move. I have identified a list of 7 books that, in my opinion, can be of great help when it comes to making a career change. 7 seems like a lot, but you really need to go through them if your true intentions are to be successful when you make the change. You can learn a lot from books before deciding to change your career! 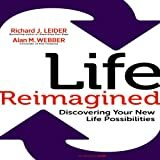 Life Reimagined: Discover Your New Life Possibilities, winner of the Silver Nautilus Award in 2014 and is among the best books ever written about career change thanks to the efforts of the authors Alan M. Webber and Richard J. Leider. The two not only give you a guide through career change but inspire you to reach your potential. The book especially speaks to those going on retirement, or just anyone with years of experience. Instead of looking at your situation from a perspective of retiring, they want you to look at your circumstances as an opportunity for great possibilities. The title "Life Reimagined" speaks volumes. The authors use these two words to refer to new possibilities in life. The book strives to help you forge your own path, explore your potential and inspire you. Inside the book, 6 practices have been identified that one can engage in to help them with the transition. Life Reimagined will inspire and motivate you to grow not in terms of age but in other aspects of life such as your health, professionally, in general, your overall quality of life. New Job, New You: A Guide to Reinventing Yourself in a Bright New Career by Alexandra Levit speaks to a specific group of people - those faced with the challenge of making a career move but were not ready for it. It's not always that making a career change is something that we intentionally want to do. At times, circumstances drive us to that point. These may include getting the boot, developing new talents, not getting satisfaction from your job or just being in need of change. New Job, New You is a guide that will transform you into a pro when it comes to making professional changes. Alexander Levit, the author, also working for The Wall Street Journal as a career columnist interviewed a number of individuals when writing the book. His opinions and ideas were therefore based on real life experiences of other people. From the book, you get to fill simple questionnaires, learn from personal stories and gain the confidence needed to forge ahead. You basically learn how to be strategic when it comes to careers. The Pathfinder: How to Choose or Change Your Career for a Lifetime of Satisfaction and Success by Nicolas Lore is an excellent book that will help you build a stable and successful career. It's not only helpful in making a career change but also in building your professional life. The Pathfinder is a classic bestseller and the go to book for career design for those entering the job market or those just seeking to make a change. This book will guide you in making the right career choices for yourself from the start, helping you set a strong foundation. The proposed techniques provided in the book were developed by Rockport Institute. The institute has changed many lives with its career counseling advice and has won awards for its good work. Bestselling author Talane Miedanerand, who's also a life coach is the one behind Coach Yourself to a New Career: 7 Steps to Reinventing Your Professional Life. The book gives a step by step guide to reinventing yourself professionally regardless of the circumstances that brought you to that point. Some of the lessons you'll get from the book include making your decisions when you’re more informed, identifying your needs and strengths, sacrifices you’ll need to make and so much more. All these based on her personal experience and those of her clients. Their personal stories will guide, motivate and inspire you as you reinvent your career. Becoming a Life Change Artist: 7 Creative Skills to Reinvent You at Any Stage of Life authored by Fred Mandell and Kathleen Jordan, inspires us to draw on our creativity when transitioning in our professional lives. Fred and Jordan identified 7 creative skills, which some the most creative individuals in history also had. That is the likes of Picasso, Leonardo da Vinci, and Berthe Morisot among others. You can also join this category of people with the help of tips provided in the book. Making certain life decisions such as this isn't easy. This book will do an excellent job of making the whole process less bumpy for you. It serves individuals of different ages with different circumstances. Inside the book are a number of exercises that you can do to help with the transition. What Color is My Parachute? 2017: A Practical Manual for Job-Hunters and Career-Changers by Richard N. Bolles, has for long been the trusted and go to guide for anyone planning on making a career decision, be it those seeking to transition or the job hunters. Either way, this book will guide, and encourage you, especially in this fast-changing world. It's frequently updated to give the most recent and relevant information in the job market. Boundless Potential: Transform Your Brain, Unleash Your Talents, Reinvent Your Work in Midlife and Beyond is the work of former CNN correspondent, turned consultant Mark S. Walton. The book will inspire you to explore the full potential of the human mind, making money doing what you love and getting to new heights. When we get to midlife, we usually feel the need to reinvent ourselves and this book will be a good guide for unleashing our talents. Making a career change isn’t a decision that we make out of the blues, you'll be doomed if you do so! It's a process that will require you to conduct extensive research. The 7 books mentioned are just a few among the many that are meant to guide you unleash your talents, inspire and motivate you, and help you with reinventing yourself. Importantly, make sure to seek the help of a resume writing service to help with your resume. The starting point for a successful change is an excellent resume.